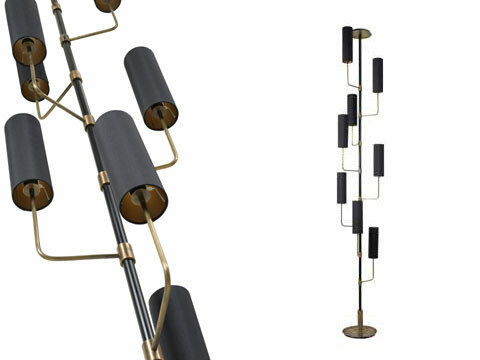 Martin Huxford Studio launch the Metro Floor Lamp, a versatile addition to their Modernist inspired lighting collection. At 190cm tall the Metro Floor Lamp is a significant feature light. The Metro is available as a free standing floor lamp, or as an innovative fixed custom floor to ceiling light fitting. 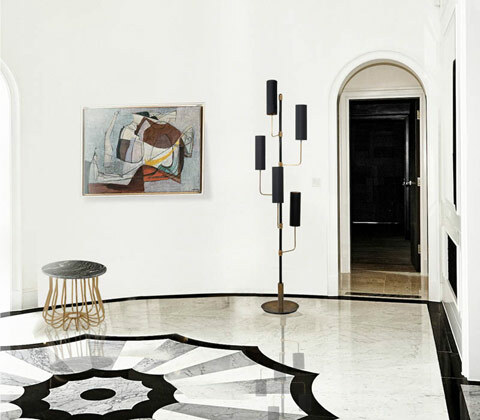 The tall, graphic light brings a very contemporary grandeur to large entrances, lobbies, restaurants, sitting rooms, and hallways. Custom - Made to order in custom sizes, colours and finishes, and as a bespoke fixed floor to ceiling light. The Metro Floor Lamp is inspired by the Bauhaus style of elegant simplicity, and graphic geometric lines. The design pairs hand curved patinated aged brass tube arms with the powder coated steel centre pole, one of many available combinations of metal and paint finishes.